Refill – don’t throw away !! The aim of this Blog is to hopefully paint a picture of the enjoyment I get from running off road. Running is my mindfulness and really adds to my well-being. 2018 : R.E.D. (Run every day) January for MIND, Dorchester Marathon, South Downs Marathon, Goodwood Marathon & Isle Of Wight marathon run so far. Me in my element !! 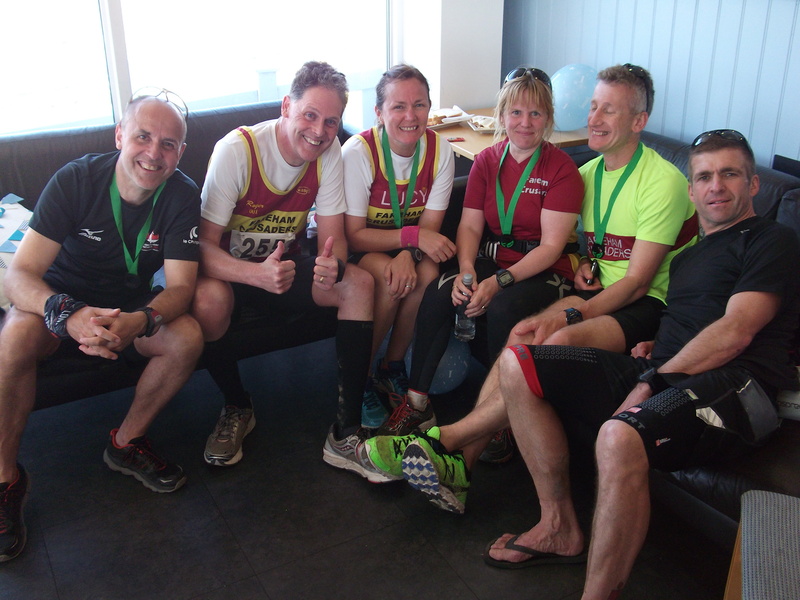 The weather forecast for the Isle of Wight marathon promised wind and heavy rain but as it turned out fortune favoured the brave with the warnings only being accurate up to an hour before the start – thank goodness for that !! Ryde Harriers were hosting the 62nd running of this event which promised an undulating course (1,450 feet) as you can see from the graphic above. The route combined quiet country lanes, a section of old railway track, occasional sea views and some busier roads. 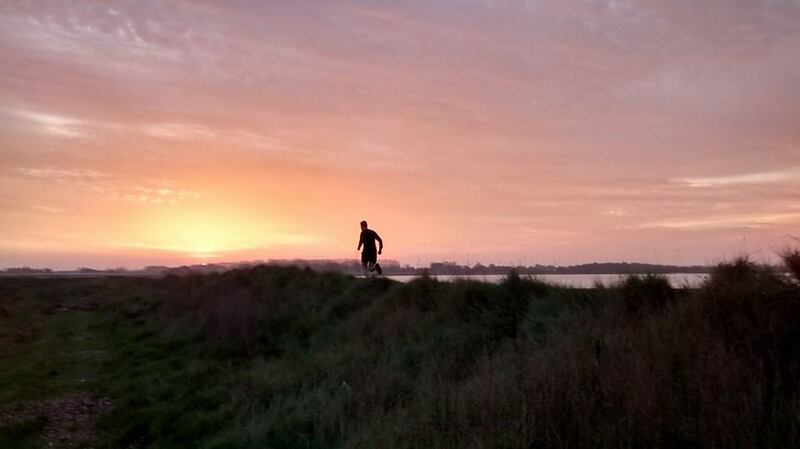 My marathon running buddy Paul Coates and I had chosen this race for its location and we weren’t disappointed. We drove to Southampton, with both the windscreen wipes and our imaginations working overtime as to what lay ahead. Boarding the Red Jet high speed catamaran bound for West Cowes the view out of the window felt more like a car wash than a ferry !! The £17 return for the 25 minutes each way meant our international experience was about to start #ferry #sailing #abroad !! Once on firm ground we jumped on a bus that took us up the hill heading out of Cowes to the IOW Community Club which had changing rooms, a variety of facilities and lots of like minded people. With three quarters of an hour left before the 11.30am start the rain (which had been forecast until 1pm) had virtually stopped. Gathered on the start line there was a noticeable sense of relief that the elements had been kind to us !! Now, with no idea where we were running I’ll try my best to describe the 4 & 3/4 hours I was out on the course. Paul, is much quicker than me so, after some banter and video with his GoPro he headed off in front of me after about 2.5 miles, just as the rain reappeared. Stopping to stretch wasn’t a problem and in the scheme of things I only wasted a couple of minutes even with three short loosening up attempts. If anything it was more embarrassing at such an early stage of the race. All sorted, errrr “no” – ha ha, next my big toe started rubbing, only a mile later !! So, it was off with my trainer and a quick inspection. By mile 6, with hardly any swearing at all, (kind of), I was back into my pace and running happy….. Quite a buzz. I passed a signpost to the West Wight Alpacas farm near Wellow and then one advertising Alpaca Jumpers, you don’t see that every day. Glorious sea views appeared at about mile 9 as we were on the outskirts of Yarmouth then next, as I headed back inland, I was surprised to be guided off road at about 11 miles. This turned out to be the old Yarmouth railway line and a brief let up from the tarmac. The railway station has been converted into a restaurant and it was full of supporters, “again”. Half way was marked with the 4th feed station, fresh oranges and flat coke … “spot on”. I was on course for about 4.40 at this stage but was aware of the 300 feet elevation between miles 22 and 25 as well as the numerous smaller hills we’d already negotiated. Location wise we weren’t that far from the Needles but heading back up towards Cowes. The weather was cloudy by now and the temperature was starting to drop but I benefiting from the steady early pace. I overtook a few runners between 15 and 21 miles and started using the sponges that were on offer between the feed stations. Time wise I was around 10.20 mile pace and revelling in the IOW peace and quiet, apart from the vintage buses that rattled by occasionally. To be fair I was largely on automatic pilot for an hour or so and that’s exactly what I enjoy. The tap tap of your trainers, the mile markers passing you by and the knowledge that you are “reasonably” in control. As promised the three miles between 22 and 25 heading towards Northwood were quite challenging, but I do like a good hill. Using a run walk strategy when needed, again I overtook a couple of runners. Sometimes not knowing a course can be a benefit because you simply manage what’s around the next corner and you aren’t planning ahead at all. It’s definitely worth a slow jog on hills rather than the easier option of walking, straight away. I read a phrase the other week that applied to those last miles, “There’s comfort in your discomfort” and that’s very much the case when you know you only have a parkrun’s distance left. As I crossed the finish line in 4.42 I was pleased with my run and were I am in my training. Completing a training run marathon was very satisfying. Your run is just that, your run, it doesn’t always have to be about speed !! Paul had finished earlier in 4.06 which is testament to the athlete that he is considering he ran 3 marathons over last weekend in Cornwall. As the ferry docked we were asked to disembark and thanked for travelling with Red Funnel. I felt a bit light headed on the trip back home because it dawned on me I hadn’t eaten since breakfast time and according to my watch I’d burned 3,812 calories. Thankfully I knew a large chicken roast dinner was waiting for me at home. 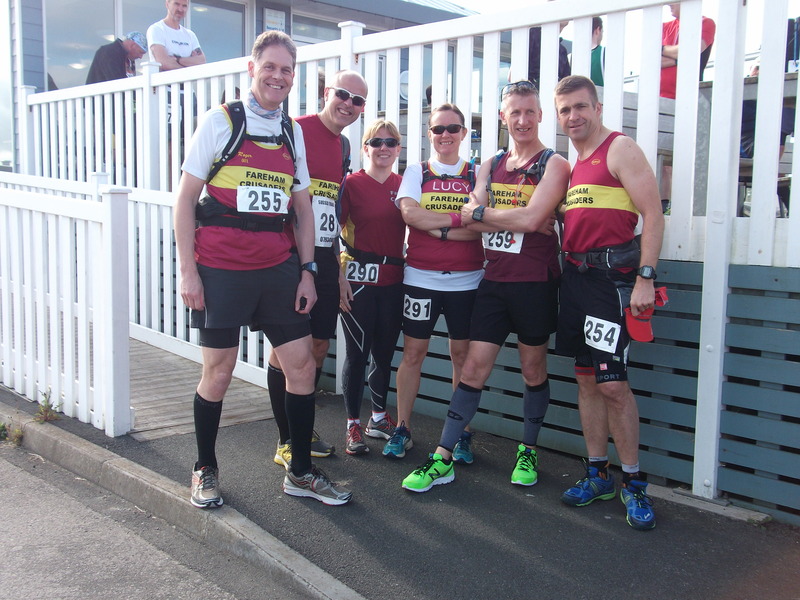 Thanks again to Ryde Harriers and Paul for a great day out. The Isle of White is certainly worth a visit whether as a tourist or a runner. The morning started at 7.20 when Mark Greenfield picked me up along with Paul Coates and Dave Fuller, we would be meeting Lucy Peazold and Sharon Gwynn at Littlehampton marina, the venue for today’s marathon. Spirits were high in anticipation of our challenging cross country run with the 14 degrees temperature, at 8am, being a talking point around what to wear. Much banter was made of my comment from the evening before that I couldn’t decide what to wear, deva/tart and “it’s not a fashion parade” were comments that I took on the chin 🙂 The best decision I made was to wear my cap, this proved a huge benefit !! A group photo was taken outside the Boat House and it was 9am and we were off, a small field limited to 100 runners. The Arun riverbank has clumpy grass and nettles in places but in the main was fine to run on in road shoes. Running along the river was just beautiful. Arundel Cathedral and Castle came into view at 4 miles and a short detour through the town brought us back onto the riverbank heading for the first feed station, the Black Rabbit pub at 6 miles. I was aware that my legs had felt “heavy” today for no particular reason so Mark and Dave started to disappear into the distance, as Paul had earlier, and I slowed down a little. We crossed the river at 8.5 miles and ran through a wooded cops with narrow tracks and a very bouncy bridge. On leaving the shade and approaching Amberley at about 1o miles it was clear the field was well strung out now and my legs weren’t getting any looser. The next section saw us joining the South Downs Way and the rise in elevation that was capped with Amberley Mount. I walked in a number of places were I would normally run and by the time I was approaching half way with 13.5 miles to retrace I seriously considered dropping out, something I haven’t done in nearly 30 years of running. Words of encouragement from our runners going in the other direction were greatly appreciated and it was good to see Luke Ashton in 3rd place. It’s at times like this you discover “What you are made of”, not everything in life goes to plan and how you deal with it is what’s important, “What doesn’t kill you, makes you stronger” etc. Added to this the views from the top of Amberley Mount reminded me why I run off road and how much I enjoy it. The Black Rabbit pub at 20 miles gave me some much needed humour as I took the wrong path and ended up in the middle of the beer garden, much to their amusement and mine. At the feed station on the other side of the pub I was greeted with enthusiasm from people I’ve never met and will never meet again, so I’d like to say a big thank you to them, especially young Madeline who made me laugh. Buoyed by their enthusiasm and my dogged determination I was off heading for Arundel. With 4 miles left I had to start mixing walking with my very slow running. This part of the riverbank seemed to go on for ages and more “talking to myself” was required !! 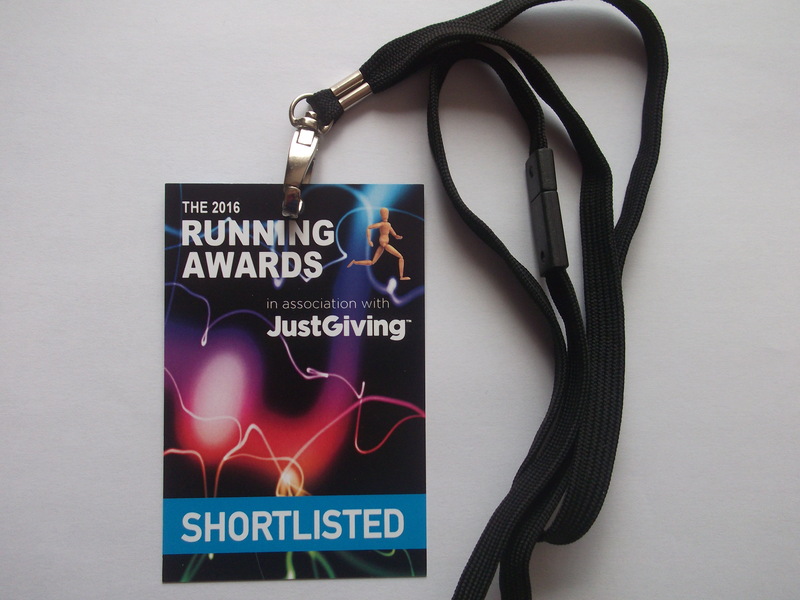 Enter your email address to follow irunoffroad and receive notifications of new posts by email. Running sets you free !! Are you a Running Believer ?